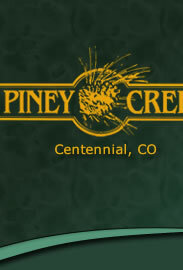 The Piney Creek Chronicle is published four times per year. This newsletter is an excellent source of information about the community to include management information, landscaping updates, local contractor advertising, swim team information, pool regulations, tennis regulations, community development and classified advertising. Articles and ads are due January 17th and the issue will be published and distributed in mid- February. Articles and ads are due April 17th and the issue will be published and distributed in mid-May. Articles and ads are due July 17th and the issue will be published and distributed in mid-August. Articles and ads are due October 17th and the issue will be published and distributed in mid-November. Past issues of the Piney Creek Chronicle and advertising guidelines are available at the on-site managers office in the clubhouse. Paid advertising must be submitted in PDF format. Ad fees must be paid at the time you submit your ad. Short classified advertising is provided to Piney Creek residents free of charge. Business Card Size 3.5" x 2.0"